You can write Bengali in Windows 7. 2. Click on the Keyboard and Languages tab. 3. Click Change Keyboards button. 4. It will open Text Services and Input Languages window. 5. Click Add button in the Installed serviecs pane. 6. Find Bengali (India) in the list. Click the (+) to expand the Bengali additional options and click (+) on the keyboard to expand further. 7. Put a check on Bengali box. 8. Click Ok button. This may ask installation CD. It will not ask it already installed. 9. 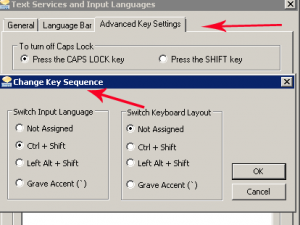 Click Advanced Key settings tab in the Text services and Input languages window. 10. 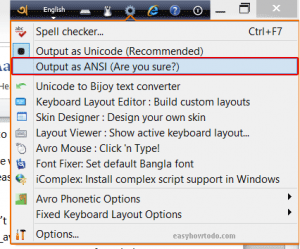 Choose To Bengali (India) in the List shown and click Change Key sequence button to configure Hot key for Bengali language. 11. Close all open window by clicking Ok buttons. 12. Now open any text editors like MS Word, MS Excel, MS Outlook, Wordpad, Notepad or any windows 7 application. 13. Press the key combination you set for Bengali to change the input language. 14. Now you can type in Bengali. 15. 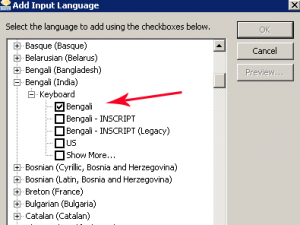 Press Key sequence for Between input languages (set in Region and Languages->Keyboards and Languages->Text Services and Input Languages->Advanced Key Settings) to switch back from Bengali language. There are some things we need to write Bengali in photoshop CS3 CS5 CS6 Illustrator Dreamweaver Coreldraw. 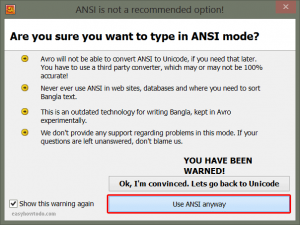 Bangala ANSI font and Avro Keyboard. You can refer How to install fonts in Windows to install fonts. Or simply you can copy the font ttf file in to “Windows\fonts” folder. Choose Type Tool from the Tools window. choose the Bangala font in the fonts list as shown in the figure. 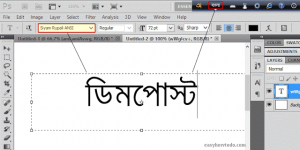 Now you can write in Bengali in Photoshop CS3 or CS5 or CS6 or Illustrator or Dreamweaver or Coreldraw.